A nice cabinetry can enhance the look of any room and add visual appeal. You can also save thousands of dollars if you build them yourself. It may seem like a huge project to undertake but all that’s needed is basic woodworking skills and a few simple tools. 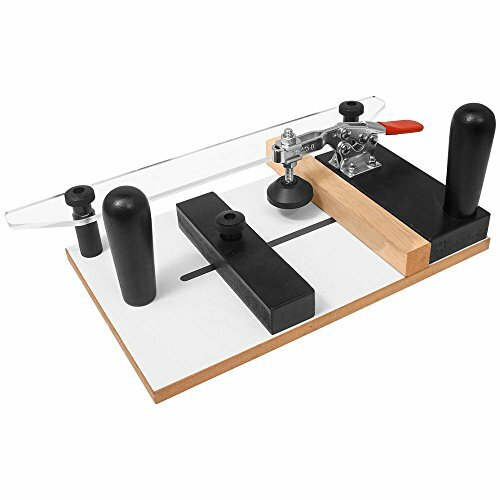 Check out our list of cabinet making tools below to get you started. Owning a router is going to be very important when you’re setting out to make cabinets. You’re going to be using this tool in order to make the straight edges that you need. Joining boards is going to be a lot simpler when you have a good router handy. You will also enjoy being able to make grooves in the door using your router. Having a high-quality tool such as this is going to make any cabinet making project a lot simpler. You could accomplish the same task using other means, but it is going to be easier if you have a router. It is one of the essential tools that you should buy when you want to make cabinets effectively. It isn’t an inexpensive tool, but it will be worth the small investment that you have to make to get yourself one. The router that is being shown here is a table router that is specifically meant for helping to make cabinets. It will work perfectly for your purposes and it comes highly recommended. You’ll have an easy time placing the boards on this router and doing the work will never feel like a chore. You should definitely purchase a router that will work great for you to be able to have a good experience with cabinet making. Having a jigsaw around is going to help out when you’re making cabinets too. A jigsaw is perfect for many of the cuts that you’re going to have to make during the cabinet making process. Jigsaws can cut complex shapes into the wood and are generally very easy to handle. Making both bevel cuts and compound cuts will be possible with this tool. This specific jigsaw will work great for making cabinets. It has a variable speed feature that allows you to adjust it to make cuts easier. You can also change out the blades very simply when you need a different type. It feels very natural to hold, so you should be able to make precise cuts without having any problems with this jigsaw. The fact that this is a cordless jigsaw may prove to be beneficial as well. You will be able to take this jigsaw wherever you need it to go, without having to worry about tripping over a cord. This can make positioning the saw to make cuts simpler than it would otherwise be and you don’t have to be near an electrical outlet. This is a great saw that is worth purchasing when you want to make cabinets. Another saw that you will want to have available to you, is the table saw. A table saw will be your primary saw for cutting the boards that you are using to build the cabinet frames. You can make accurate cuts with a table saw and it won’t take much time. This is going to be significantly quicker than cutting the boards by hand, so you will want to have a table saw if you are building several cabinets. Conveniently, this table saw is completely portable. You will be able to take this with you to a job site and use it effectively. It is a powerful saw that can make short work of boards, but it is simple to take it with you to different places. There is a stand that is included with this saw, too, so that you can set it up right where you need it. The telescoping fence rails will make it simple for you to adjust the table saw to your needs. 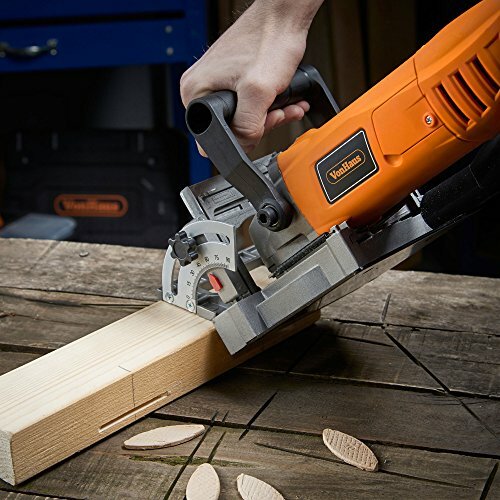 You’ll always be able to make the precise cuts that you need to when you have this saw. It is somewhat pricey, but it is going to make the process go much smoother than it otherwise would. Consider purchasing this saw if you are serious about the idea of cabinet making. Sanding is an important step of the cabinet making process that cannot be neglected. Of course, you could simply purchase a sanding block and take care of your needs that way. This would be a bit of an arduous process, but you could definitely get the sanding done. If you want to save yourself some time and effort, then you should consider purchasing a random orbital sander. Owning a random orbital sander will allow you to sand down your cupboards very swiftly. You can position a random orbital sander right where you need it to be and get the job done. It will allow you to achieve the smooth finish that you are looking for. It can help you to smooth out any mistakes you have made too, so it will definitely come in handy. The ergonomic palm grip on this model makes it really easy to use for long periods of time. If you are making several cabinets, then it won’t feel too onerous to sand them all down when you have this tool. It is lightweight enough that fatigue shouldn’t be a problem either. This is a great sander that will help your cabinets to turn out nicely. A power drill is a tool that you are going to want to own for multiple reasons. This isn’t something that is used specifically for cabinet making, but it is going to be an essential part of the process, nonetheless. You will want to have a power drill for when you need to install the hinges on your cabinet doors. There are attachments that you can use with your power drill to make parts of the cabinet making process easier too. The power drill being shown here is a great model. It feels light enough that using it for long periods of time isn’t going to be too taxing. You will be able to work for long hours using this tool without having any issues. It’s also powerful enough to handle any job that you will need it for. Making sure to have a power drill available to use is going to be important. It will be a lot simpler when you can install hinges quickly. This power drill charges very quickly and it is easy to use in confined spaces. It will prove useful to you in many different ways, so it’s a good idea to purchase it if you’re in need. Buying a hinge jig is going to help you with installing the hinges on your cabinet doors. You’re going to want to use this in conjunction with the power drill that is mentioned above. You will be able to make quick work of the hinges when you have this hinge jig to rely on. You can accurately position the hinge and then drill it into place without having any issues. One of the best aspects about this hinge jig is that it can be used with any drill. It doesn’t matter what type of power drill that you own. You will be able to make use of the hinge jig to get your hinges in the proper position. It also features a convenient stop collar and bit guide to further help you out. There is no reason to make the process of installing the hinges harder than it needs to be. Buying one of these hinge jigs will make everything simple and you can finish your job quicker. The hinge jig isn’t too expensive, so it’s very practical to go ahead and buy one. It will make your cabinet making the experience a lot better overall. Having a scraper plane will be essential when you want to make beautiful cabinets. You’re going to need to plane the wood at certain points during this project. This is important for ensuring that everything is prepared properly. Planing the surface of the wood will be easy, as you simply scrape this tool across the wood itself until it is exactly how you need it to be. This scraper plane here has been specifically designed for planing cabinets. It features a single thumbscrew that can be adjusted in order to alter the curvature. 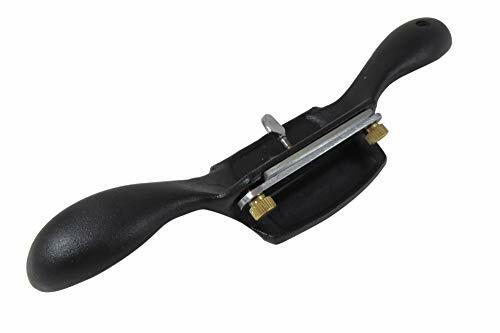 This is a really simple scraper plane to make use of and you’ll be able to get fantastic results. The tool is made out of a durable cast iron and should stand up to many years of regular use. It feels nice in your hands when you’re using it, as well. It’s important to feel comfortable when you’re doing work such as this because you need to maintain good posture. You’ll be able to get the job done right when you have access to high-quality tools such as this. It’s worth paying a little more to get a tool that can do the job very well. Woodworking chisels are important for when you want to do finely detailed handcrafted work. When it comes to making cabinets, having a good set of chisels will be really useful. You can use them to specifically chisel out sections of wood for your cabinet. Many people use chisels in order to make beautiful ornate cabinets. These woodworking chisels here will work very nicely for making cabinets. There are several different sizes that will prove to be useful in different situations. These chisels aren’t specifically meant for making cabinets, so you will be able to use them for many other woodworking purposes too. They’ll be really good at helping you to chisel the cabinets of your dreams, so it’s a recommended purchase. There are four different chisels in this set. All of the blades are made of a hardened carbon steel, allowing them to stand the test of time. The handles of these chisels are really nice too, and they have been designed ergonomically. You’ll be able to feel comfortable while gripping and striking them. You will want to purchase a coping sled if you want to be able to use your router as accurately as possible. It will be great for helping you to cut profiles into the end grain of your stock. It is simpler to make precise cuts when you have a coping sled, and making excellent cabinets is all about precision. It can be worth the investment when you want to ensure that your cabinets turn out superbly. The coping sled is really going to prove its worth to you when you’re making your cabinet doors. The doors are perhaps the most complex part of making cabinets. Being able to increase your control over the cuts you’re making allows for increased precision. You will be able to craft the perfect doors for your cabinets and it will feel as easy as it possibly can. 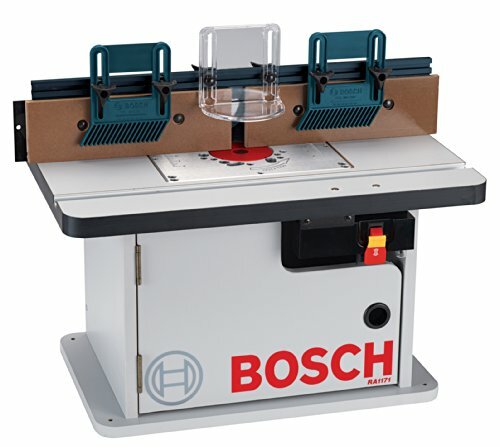 You can adjust your coping sled and use it with many different router tables or table saws. This is another tool that you will be using in tandem with a saw. It’s not entirely necessary, but it can make the process smoother. It’s up to you to decide whether or not it is worth the investment. It may seem very obvious, but it needs to be said that measuring is one of the most important aspects of woodworking. You need to make sure that your measurements are accurate before you decide to make any cuts. In order to measure your wood properly, you’re going to want to have a reliable tape measure around. This will make it simple to take measurements and you’ll always be able to keep things moving in the right direction. You can buy a good tape measure at any hardware store and most major department stores. An average tape measure should be able to measure distances of up to 25 feet. This will be more than enough for your needs while you’re making cabinets. You can keep the tape measure right by your table saw or another type of cutting saw that you’re using. The blade lock will hold the tape into place while you’re taking your measurements. You can measure your boards and then release the lock to make it contract. It’s very convenient and you will always be able to take it with you. You should always keep a tape measure in your toolkit when you’re doing any type of woodworking. A claw hammer may prove necessary for driving nails and other purposes. Most people will already own a claw hammer, as it is one of the most common tools on the market. This tool is useful for many different purposes and is something that you will always want to have available to you. If you don’t happen to own one, then you should definitely break down and purchase one if you’re going to be doing any type of DIY projects. Some people will use a claw hammer to help them chisel wood. This isn’t going to be the optimal tool for this purpose, but you can use your claw hammer to chisel if you need to do so. A rubber mallet would be ideal for chiseling, but as long as you’re careful, a claw hammer can work too. You won’t be using the claw hammer for too many purposes during this project, but you’ll want it around for when you do need it. This claw hammer is very durable and should be able to be used for many years. It features a sturdy wooden handle that feels quite smooth. The hammerhead itself is made out of steel and can help you to drive nails easily. It’s a good purchase if you’re in need of a quality hammer. Owning a rubber mallet will be really useful when you’re making cabinets. You will want to be able to use this to strike your chisel. The rubber mallet is going to be a lot safer to use for this purpose than something such as a claw hammer. If you make a mistake and miss, you shouldn’t cause much damage to anything around you. A good rubber mallet can be good for simply pounding things into place, too. When you need to make sure that two pieces of wood are flush, giving it a little nudge with your rubber mallet is going to work wonders. You don’t want to use a claw hammer for this because you could damage the wood. The rubber mallet is much better suited for this project. You’ll find that rubber mallets are very common tools. You will be able to find them at the hardware store without having to do much digging. This rubber mallet here should perform very well for you and it comes highly recommended. These mallets are quite affordable, so there is really no reason not to buy one. Another common tool that is going to come in handy during your cabinet making process is the screwdriver. This will be useful for when you need to put screws into certain spots. Not everyone is going to own a power drill and some people will not want to purchase one specifically for this job. If you want to keep your overall costs low, then you can simply use a nice manual screwdriver for the same results. This won’t be as quick as using a power drill, but it will work very well, nonetheless. The one area where you may feel like it isn’t as convenient is when you’re installing the hinges. You can use a screwdriver to do this, but having a power drill to use with the hinge jig is really a lot easier. Just take everything into account before making your decision. The screwdriver being shown here is really nice and will make a good addition to your tool collection. It has an interchangeable blade that can be switched out for different bits. This allows you to use this screwdriver with many types of screws, making it very convenient overall. If you need a nice screwdriver, then you will want to consider picking this one up. Clamps are a really important part of the cabinet making process that absolutely should not be ignored. You will want to use clamps in order to hold the wood in place while you are doing various things. If you don’t have access to clamps, then a lot of this work is going to be more difficult. It’s smart to buy a really good clamp that is specifically made for helping you to properly align your cabinets. This clamp here is going to work very nicely for you. It will make the process of installing your cabinets a lot simpler and it is a fairly cost-effective product. You won’t have to pay an outrageous sum of money to get this clamp and it will work very well. It simplifies the process by holding your cabinets together effectively. There is even a drilling guide on this clamp to make things even easier for you. You can use the drill guide to easily determine where you need to drill. The guide flips out of the way so that you can complete your task without being obstructed. This allows you to connect the cabinets properly without even having to remove the clamp. 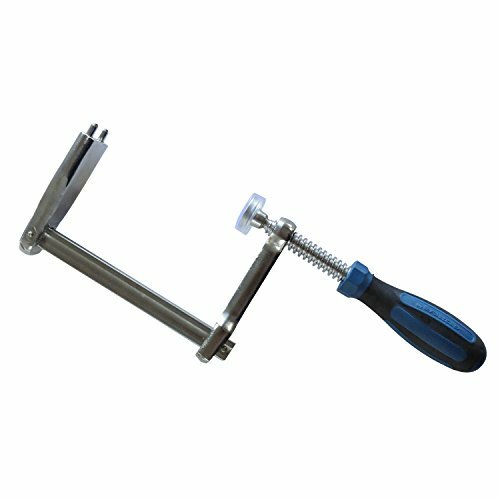 This clamp has been constructed to be durable too, so you can count on it to work well for you for a long time. You’ll be able to achieve professional results when you have a clamp such as this one to rely on. When you want your cabinets to look as nice as possible in your kitchen, it’s important to buy the right tools. Get this clamp and make sure that your cabinet making project finishes up strong. The final tool that you may want to consider to help you with your cabinet project is a biscuit joiner. These aren’t inexpensive, so you will want to be really serious about cabinet making to justify this purchase. It can make joining the cabinets much simpler when you own one, though. Aligning your pieces perfectly is a lot easier when you have a biscuit joiner tool available to you. This model is very precise and also comes with nice anti-slide grip pads. You should always feel in control while using this tool. It has different speed controls so that you can set the pace that you are comfortable with. It’s a great tool, but it certainly is quite pricey.